The Middletown & Hummelstown Railroad (reporting marks, MIDH) is a shortline operation based out of Middletown, Pennsylvania. 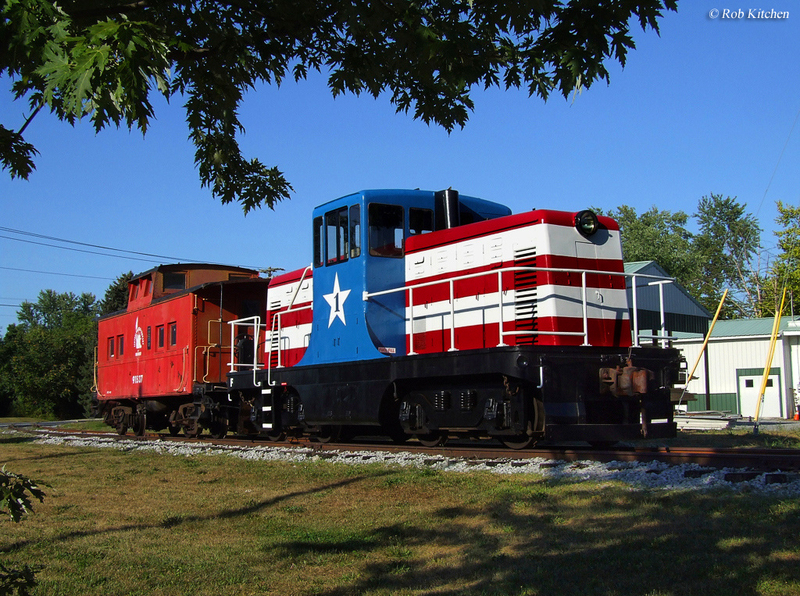 The railroad has been serving the local region between its namesake cities since the late 19th century so not surprisingly it has seen quite a bit over that time. 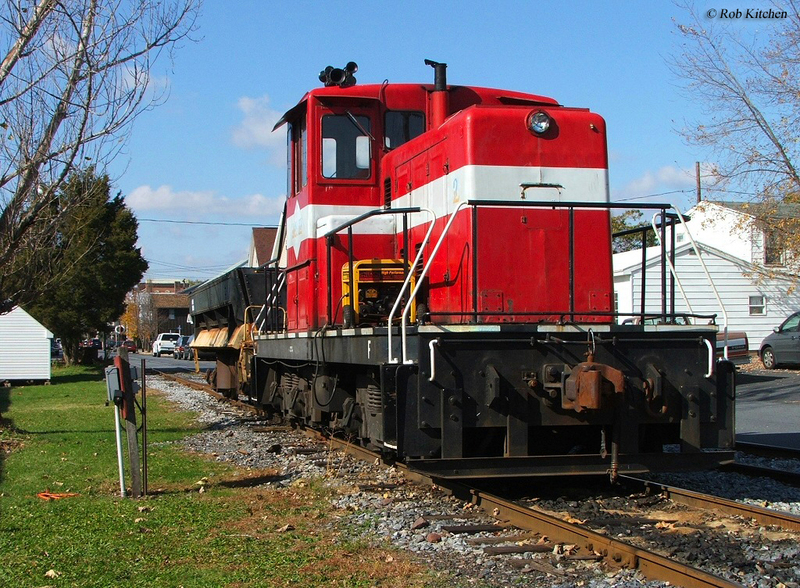 For much of its life prior the collapse of the Northeastern rail industry in the 1970s the Middletown and Hummelstown was owned by the Reading Railroad. However, this changed in 1976 with the formation of Conrail and the little railroad was spun-off becoming an independent operation. Today, the railroad tries its best to provide freight service although there are few industries along the route and its primary source of revenue remains tourist during the warmer months (additionally, the state of Pennsylvania has hampered its efforts to provide additional freight service). 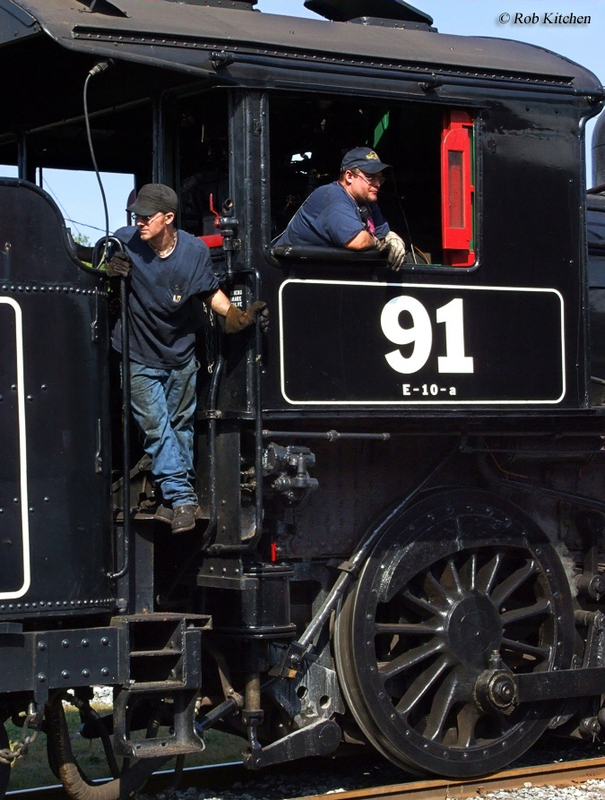 The Middletown and Hummelstown Railroad dates back to the 1880s when local businessmen of Middletown wished to have their local community connected to the Philadelphia & Reading Railroad's main line at Hummelstown. The railroad itself was formed in 1888 and after enough funding was established the 11-mile line between the two cities was completed by 1890. However, upon completing the line the railroad was sold to the much larger Philadelphia & Reading, which retained the M&H name but provided freight and passenger operations over the route. Despite the P&R ownership the little railroad came to receive its own nickname, The Milk & Honey Line, which it is still known as today. The Reading Lines, "Bee Line Service"
A Look At The Consolidated Rail Corporation, "Conrail"
The Philadelphia & Reading was the predecessor to the more well known Reading Company. Around the time that the P&R took over the M&H route it was attempting (through its president, Archibald McLeod) to greatly grow its network by gaining control of numerous railroads around it, such as the Lehigh Valley, Central Railroad of New Jersey, and Delaware, Lackawanna & Western. Unfortunately, in doing so the railroad strained itself too heavily financially and fell into bankruptcy. What resulted afterwards was the Reading Company that was come to operate a railroad across New Jersey and much of eastern Pennsylvania. The Reading served its region for more than 80 years. However, with railroads losing market share to other forms of transportation by the 1950s and 1960s the industry began to seek merger partners to reduce costs. One of these mergers was the disastrous Penn Central, formed through giants Pennsylvania Railroad and New York Central in 1968. This new company began to fall apart almost immediately due to very poor planning and as it did so the smaller lines like the Reading collapsed along with it. In June, 1970 the PC declared bankruptcy and a little over a year later on November 23, 1971 so too did the Reading. As things continued to worsen for the entire northeastern rail system the government stepped in and created the Consolidated Rail Corporation, Conrail, to help restore service to the region with government assistance. 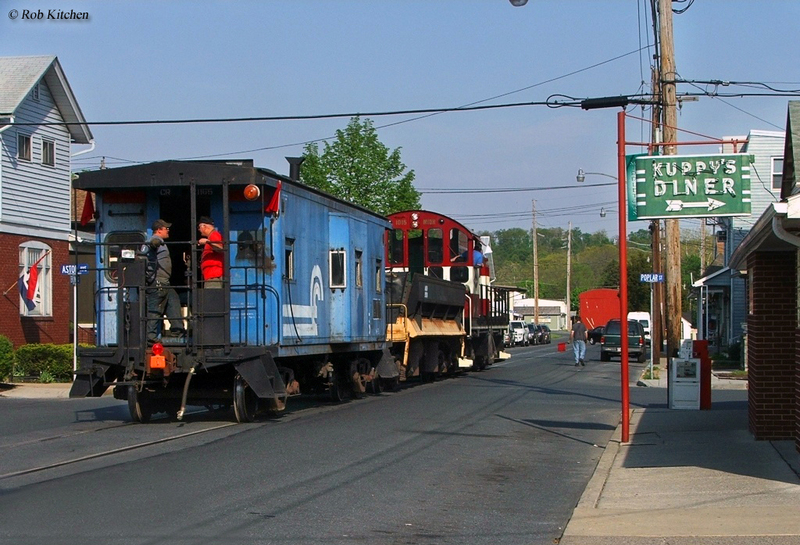 Conrail began operations on April 1, 1976 and as a result of the Reading Company being dissolved, the Middletown and Hummelstown Railroad was shed from its system and for the first time ever became an independent railroad. While the new railroad continued to serve freight customers as it could its best success proved to be as an excursion train for tourists, something it is still very successful doing today. Part of this success is due to their operational ex-Canadian National 2-6-0 steam locomotive #91 while perhaps the other part is due to the railroad's close proximity to large cities such as Harrisburg and Philadelphia, less than two hours away. 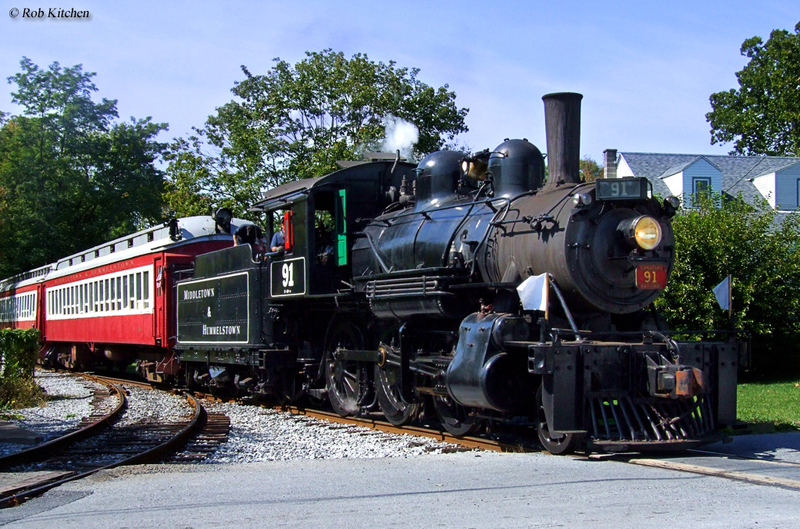 If you are interested in riding aboard the Middletown & Hummelstown, which operates between May and October each year, please click here to visit their official website. The M&H has argued to the state of Pennsylvania that if it were to be allowed more than twelve crossing annually across busy U.S. Route 322 near Hummelstown that its freight operations would be much more significant. However, thus far it has been denied this request although hopefully one day this will occur giving the M&H a real opportunity to become a true freight railroad. In any event, currently the M&H does not roster a large number of locomotives and rely entirely on older GE and Alco switchers (despite the locomotives' size and age, however, they do a great job and were built to last). Of note, the railroad owns the second-to-last Alco locomotive ever built, T-6 #1016, originally built for the Newburgh & South Shore Railway. In any event, listed below is a current roster of the Milk & Honey Line.